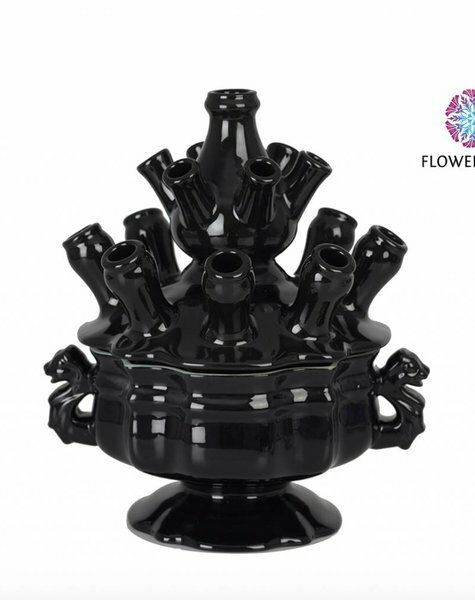 Luxurious tulip vase in black. This black tulip vase is decorated with two dragon ears. Ideal tulip vase for a large dining table. A black jewel in a single color design. 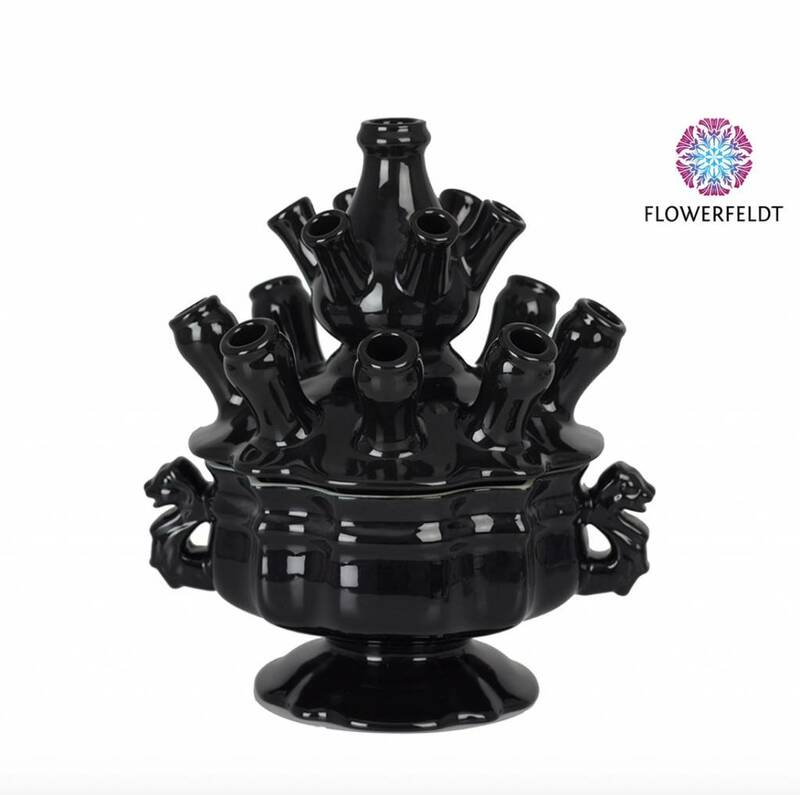 Buy your black tulip vases and black designer vases at Flowerfeldt®. Quality always guaranteed!